Sith vs. Jedi! Darth Maul gets more than he bargained for when he’s sent to capture Padme Amidala in this action-packed LEGO adventure. 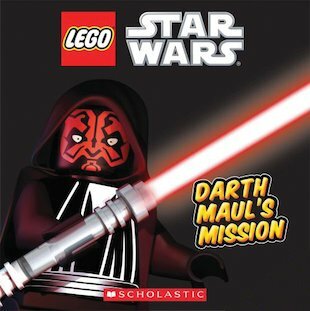 A long time ago, in a galaxy built brick by brick, evil Darth Maul was trained in the dark side of the Force. Now Darth Sidious has given him a mission: to kidnap Padme Amidala as she escapes from the blockade of Naboo. But Darth Maul has a nasty shock waiting for him: two Jedi, one force-sensitive orphan, and a whole Queen’s entourage. So much for a simple kidnapping mission!